This entry was posted in Kirkleatham, Railways by chris.twigg. Bookmark the permalink. Was the railway line realigned around the Coatham (?) area when it was extended to Saltburn? An investigation using Google Earth seems to show earthworks of a trackbed nature in this area. Indeed there have been two changes, the most recent in the 70s as mentioned by David. 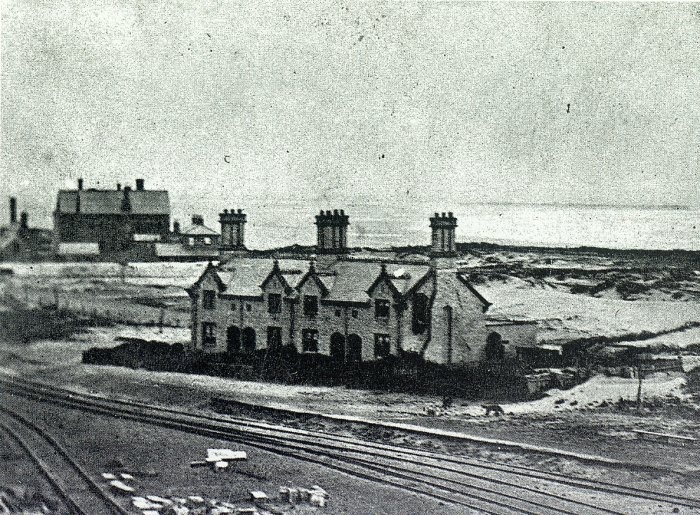 The original 1846 station was sold and became the Central Hall. The railway land was developed into the Queen Street area.